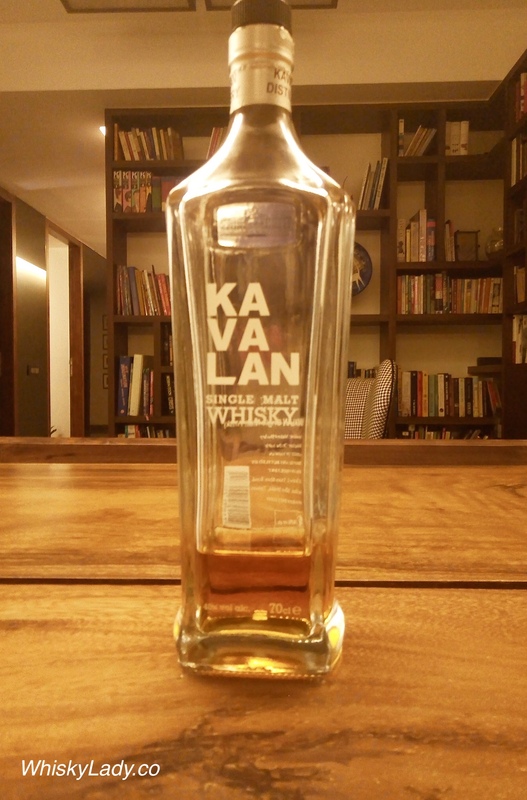 The Whisky Ladies of Mumbai began our exploration of Kavalan Taiwanese whiskies in 2016, where we sampled an open bottle of the Concertmaster Port Cask Finish 40%… we then cranked it up several notches with the Solist Sherry cask S1001200358 57.8%. It was so memorable with its concentrated robust flavours that we decided to track down another bottle (this time from cask S090102020 57.1%) and share it in our “Ladies Choice” evening with our Bombay Malt & Cigar gents. Finish – Finally a proper finish! Sweet on the nose, spice on the palate… a good entry level to the brand, bottled in 2016. It was opened a few months earlier and you can see from the photo that after our tasting, there wasn’t much left! However we certainly felt we had a good enough impression of a lively tasty dram. Talk turned to how nice it is to find value for money… This particular bottle was purchased in Germany, however can also be found at The Whisky Exchange for £54.45. For those curious to check out more Kavalan’s tasted over the years, pop over to the Asian whiskies page. This entry was posted in Beyond Scotland, Taiwan and tagged Kavalan, Kavalan Classic by Carissa Hickling. Bookmark the permalink.